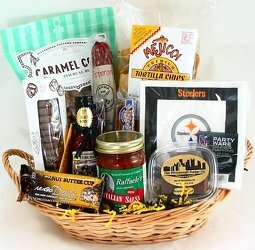 Looking for a unique gift basket idea? 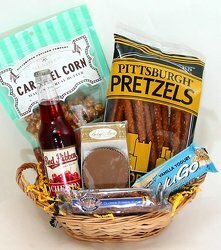 Our own "Taste of Pittsburgh™" baskets are filled with fine food and gift items, all with a Pittsburgh connection. They're a great gift for anyone who's a fan of "The 'Burgh!" 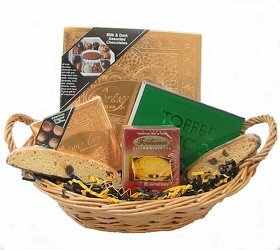 Our baskets are wrapped in cellophane, and tied with a black and gold bow. 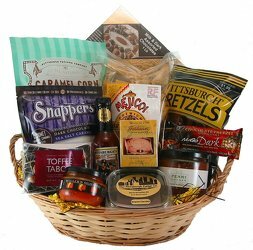 Order online for Pittsburgh area delivery, or phone our store to place your order for Taste of Pittsburgh baskets delivered throughout the U.S. with FedEx.